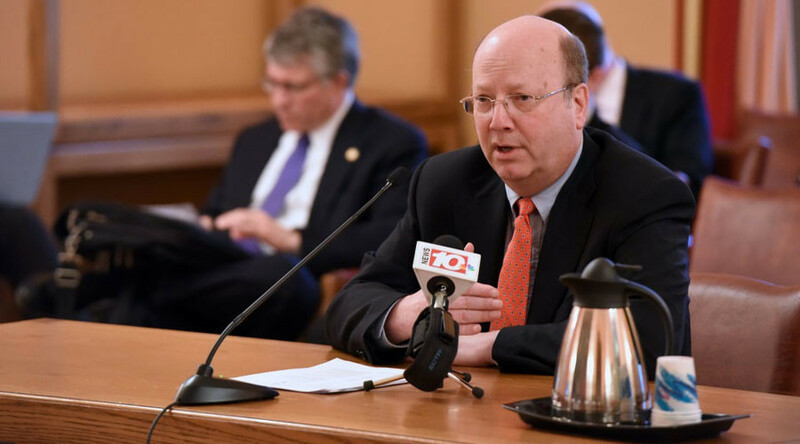 New York State assemblyman Bill Nojay has been found dead at a cemetery and sources claim he shot himself in the head at his family’s burial plot. In a death eerily similar to Nick Wasicsko, the former Yonkers mayor featured in HBO's mini-series "Show Me A Hero," Nojay reportedly planned to turn himself into authorities on Friday for fraud charges relating to a Cambodian rice company. The Khmer Times of Cambodia reported that Nojay and three others convinced a woman to invest in company that would export rice to the US. The woman claims that eight months after investing one million dollars, she discovered the company was bankrupt. RFD called to Riverside Cemetery to flush Bill Nojay's blood from the spot where he took his life. Nojay faced fraud charges in Cambodia where he has been doing business since the 1980s. He dismissed the charges, claiming he had never met the plaintiff. Elected to the 133rd Assembly District in 2012, the conservative Republican was married with three children. He was scheduled to run in a primary next week against Richard Milne. Last year, he served as an observer for The Committee for Open Democracy (COD), a Florida-based, privately-funded “objective” organization with strong ties to the Republican Party, in the Ukrainian National Local Elections, according to the Economist. COD came under fire in Georgia over claims they were being secretly funded by opposition leader Bidzina Ivanishvili. My heart goes out to Assemblyman @BillNojay's family and friends. Loss transcends politics.